d a n i e l l e b u r k l e o : I HAVE NO IDEA WHAT I'M DOING. 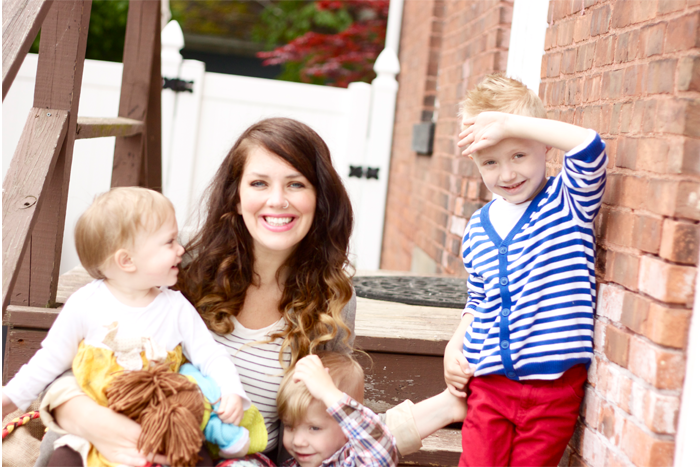 Motherhood has different phases for me, and I'm guessing for you too. There's waves of goodness, moments of beauty, long nights with sometimes longer days, and then times that smack me right across the face when I realize that I have no idea what I'm doing. I mean, sure, I know what to do. I know what my children need and how to meet those those basic needs. But, at the the same time, something will happen, or a conversation will take place, and it will knock me right over. I'll be crying in the grocery store because I have no idea how to handle a child that will not stop failing and screaming, as my baby runs down the other aisle, and everyone looks on at that crazy mom that attempted to grocery shop with all three children (me). Or my five going on thirty-five son will ask me questions that I don't know how to answer myself and I'll wonder how in the world he can think of such heartbreaking things already. Not yet, I'll whisper, not yet. I just want him to hold onto his precious innocence for a little while longer. These are the moments that I am crying out to Jesus and saying, Lord! What am I doing? How do I raise these children well? I know it was no mistake when you chose me for them, and them for me, but where do I go from here? It's overwhelming when I really think about the role I have been given. To be mom to these three, sweet souls. To be able to shape, and mold them, and be such a huge part of who they will one day become. To love them with a love I hadn't known I had, or felt before, a love so fierce and so strong that it scares me. I think a lot of times, as moms, we feel like just moms and we're seeking adventure elsewhere. I am reminded tonight that THIS, right here, right now, is my adventure. There isn't anything more wild than the role of being a mother. The way it pushes me, bends me, and, inevitably, breaks me. It's the most beautiful, bittersweet, life changing experience that I'll find no where else. So often, in those times of deep need, the Lord is reminding me that I can't do this thing alone. The moments where I break, and turn it all over to Him, are the moments where I ask myself why I ever thought I could? When everything's going good: I need Jesus. When everything's gone crazy: I need Jesus. And when I am reminded that I have no idea what in the world I am doing: I need Jesus. I'm thankful, every day, for the grace that my Jesus, and my children, give me. I'll never figure this motherhood thing out entirely but I'm forever grateful to be doing it. I needed reminded of this today. Thank you for your words. loved this post! When life gets crazy, my need for Jesus just gets even more apparent! I don't know what I would do without Him--scary thought! Thanks for the encouragement! ps- What type of camera do you use? I love the way your photos look! adorable! Oh gosh my son is the question asker too. I mean deep questions that just throw me for a loop. And I so resonate with this. I know what to do, but most times have no idea what I'm doing. 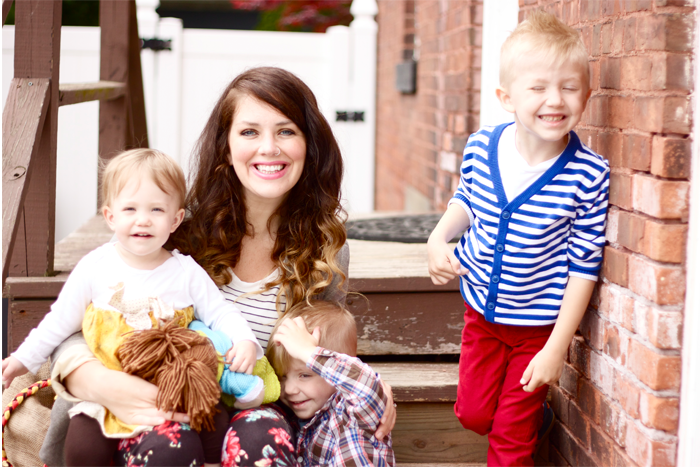 I find myself needing Jesus a lot too in this parenting journey, but I find him in other moms. I learn how to handle tough situations by watching them interact with their kids, and I get the feedback and encouragement I need when there's just no avoiding tough situations no matter how well I parent. I think this every day..."can I really do this?" But I know God's plan is perfect and that this path was chosen for me when I was being created in my mothers womb! so well said. i can totally relate. and i think you're so right motherhood comes in waves. waves of success, waves of emotion, etc. thanks for sharing your heart today Danielle!! yes, right there with you. i have gone so many times to bed on the verge of tears wondering what the heck i'm doing? did i teach them well enough that day, was i compassionate enough... but i love what you said. God chose them for us and us for them. if God thought we were going to be good mothers for those children, then He knew what He was doing. it teaches us so much more than anything else we could do, i think. And, my dear, I've been mothering for 37 years and I still sometimes wonder if I know what I'm doing. So, hang in there, He walks with us through all of it and gives us just what we need as we need it when we rely on Him. You are doing an outstanding job with your precious children. Blessings! Oh boy do I hear you on all.of.it. And just quietly I love those photos, candid and real. Awesome! amen momma, AMEN. every single day is a new marathon and i'm excited to live it all out and most importantly to be alive to be here with her. but oh.my.goodness...some days i just pray and pray and pray i'm giving her all of the best i have to give.